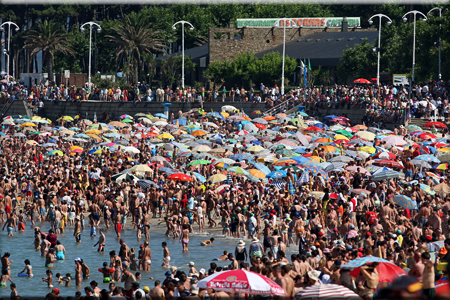 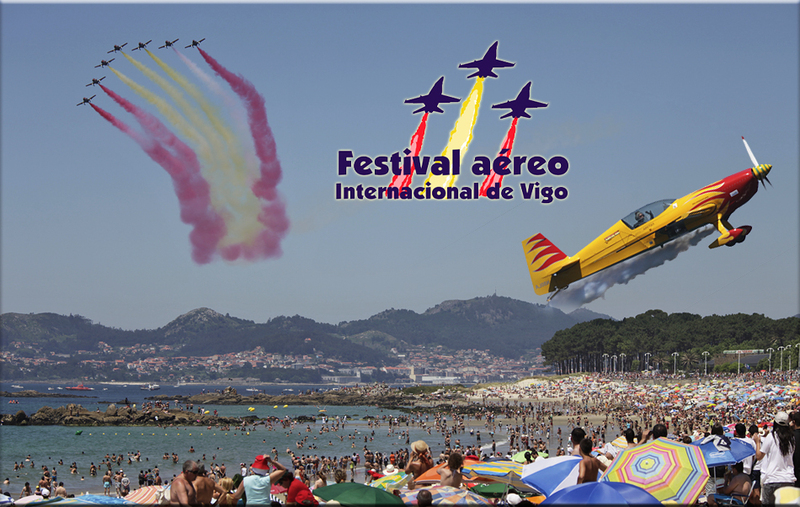 The famous Samil beach, city of Vigo, is the location for one of the largest public events in Spain, the Festival Aéreo de Vigo. 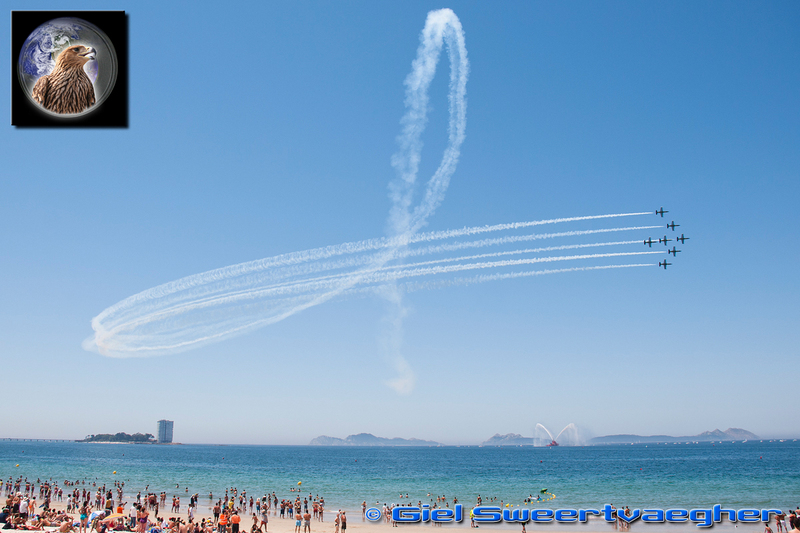 The relaxed atmosphere, the beautiful beaches in combination with a wide variety of flying displays make this event the ideal family day out, and yearly attracts hundred thousands of spectators staring into the blue skies. 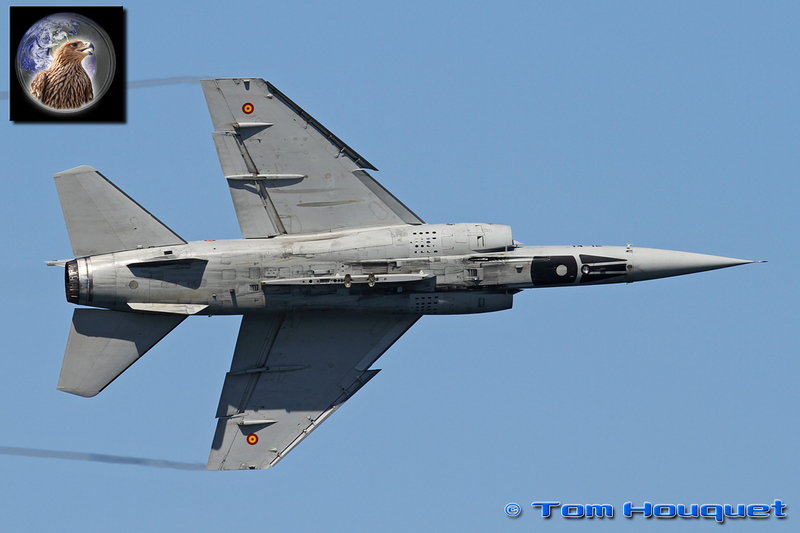 During the past years the airshow has grown to one of the biggest airshows in Spain and attracts unique flying displays from all over the world. 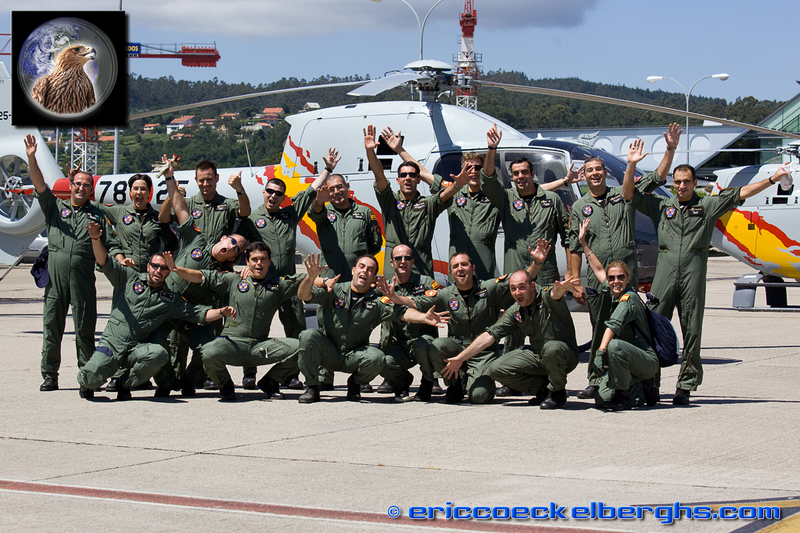 During the arrival and rehearsal days we had the honour to photograph the display acts and crews from close-by at the airport of Vigo. 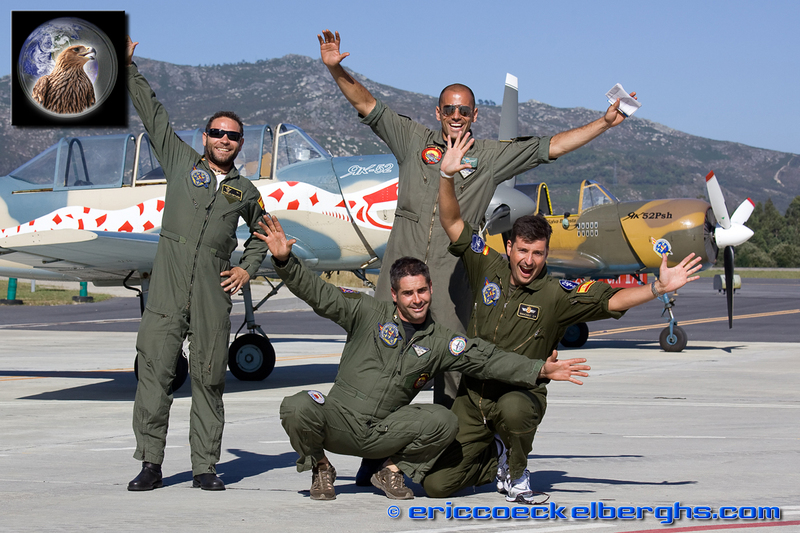 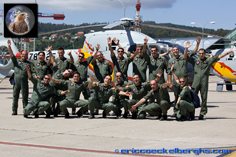 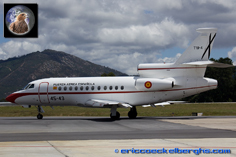 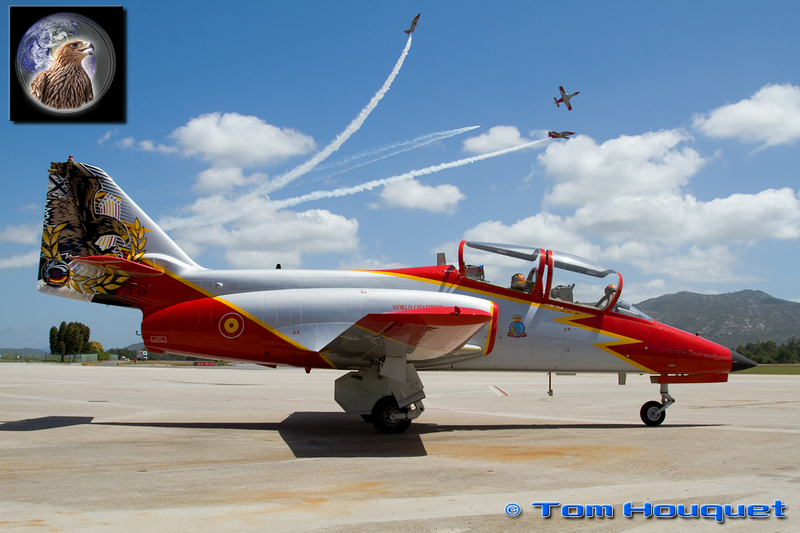 The first display team to arrive was the Spanish National team, the Patrulla Aguilla who celebrated their 25th anniversary and therefore brought their specially painted aircraft to Vigo. The Spanish Air Force was also represented by the Mirage F-1 display, based at Albacete Air Base, while the US Air Force was present with a unique C-21 Learjet display. 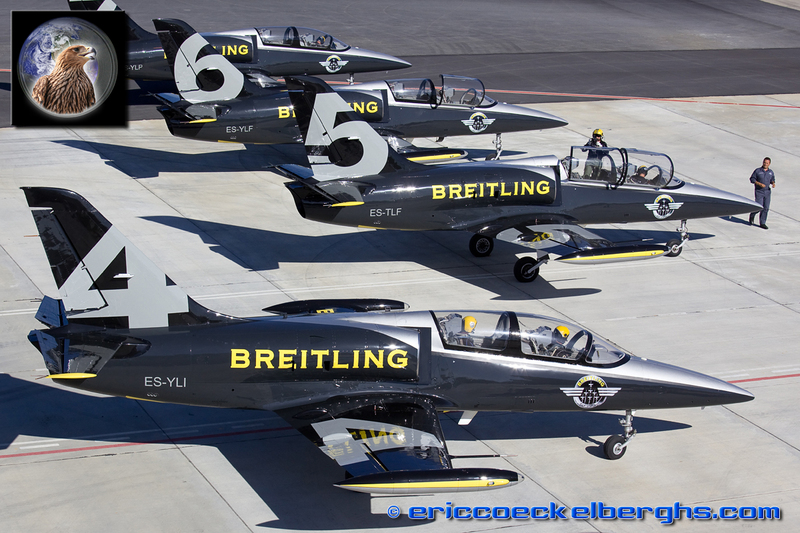 On Friday the second large jet team arrived, the Breitling Jet Team, showing their new colour scheme to the Spanish public. 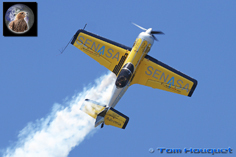 Melissa Pemberton came all the way from the United States to perform an aerobatic display in the Extra 300. 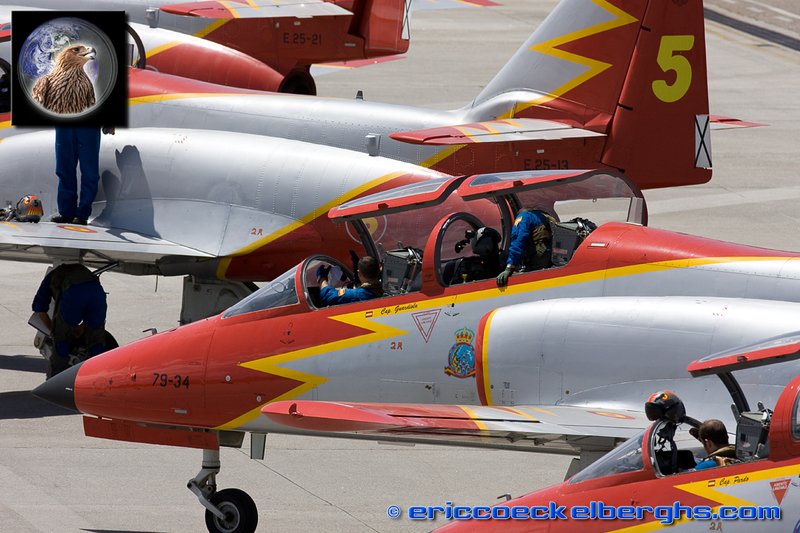 The French Patrouille Reva was also present with their odd looking canard aircraft. 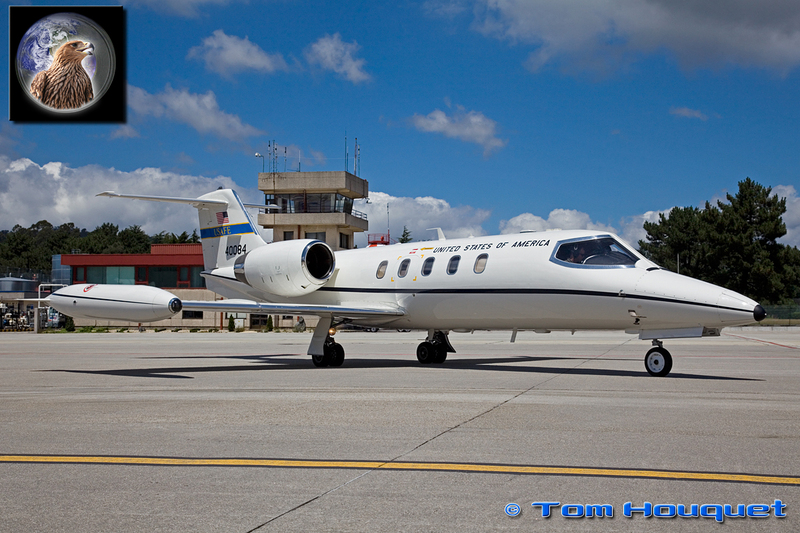 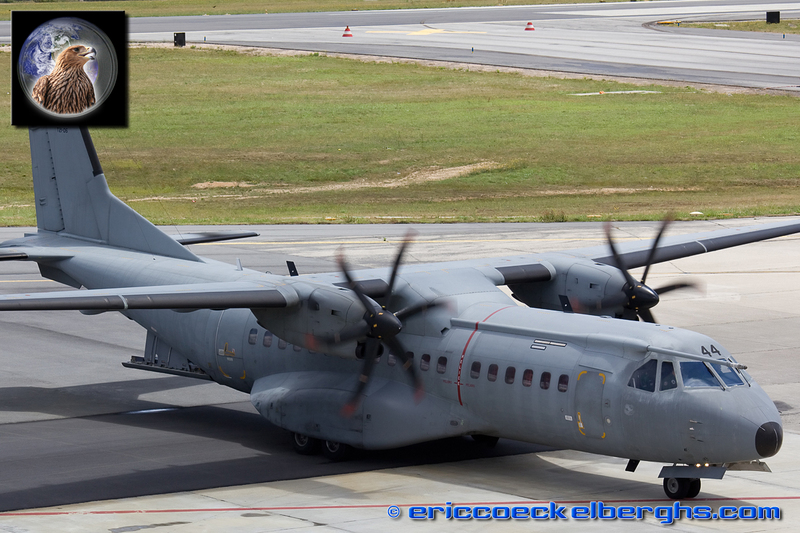 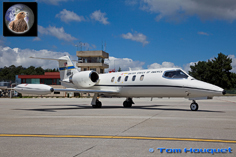 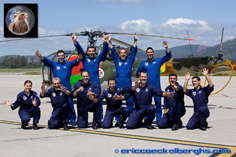 The organisation of the Vigo airshow was able to attract no less then two helicopter teams. 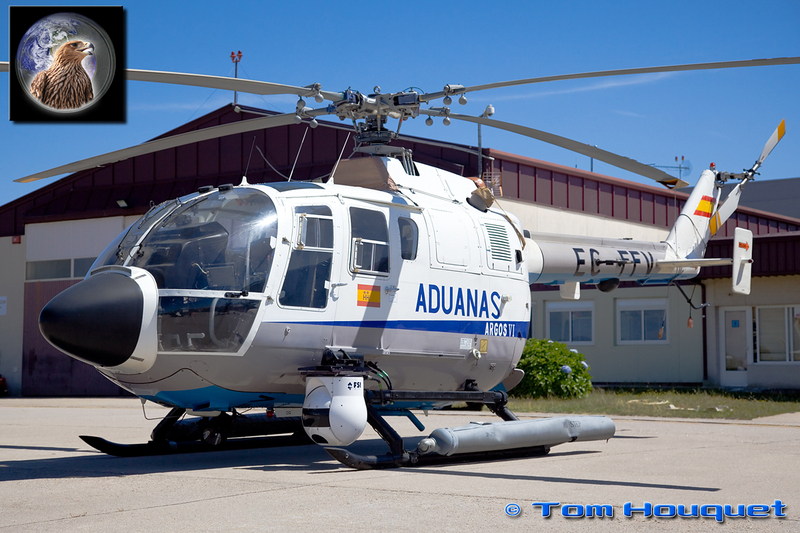 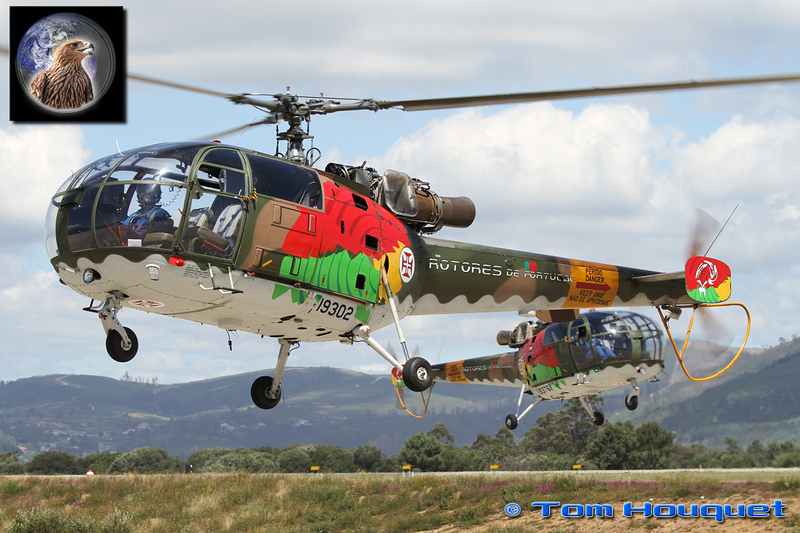 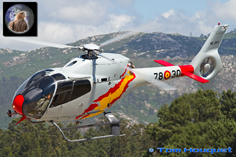 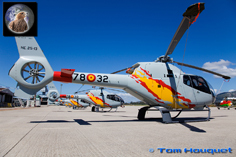 Rotores de Portugal represented the Portugese Air Force with their Alouette III while the Spanish Air Force send the National helicopter team, the Patrulla Aspa flying the Eurocopter EC-120. 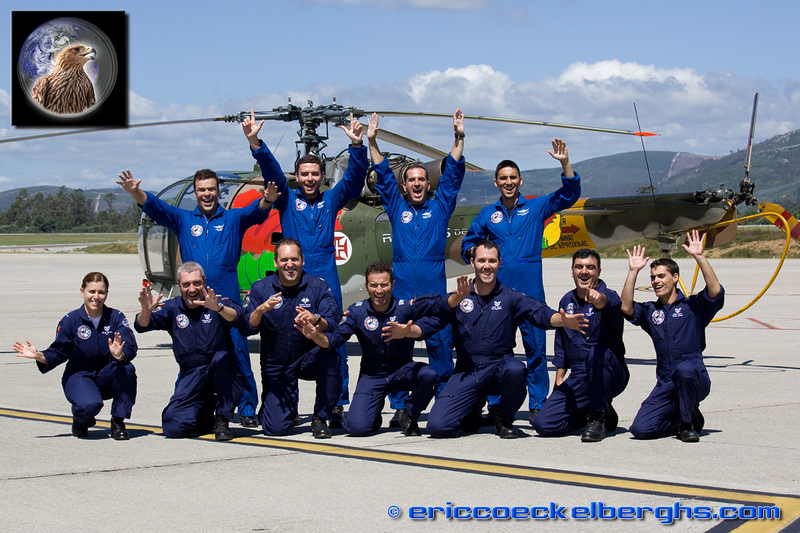 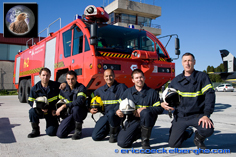 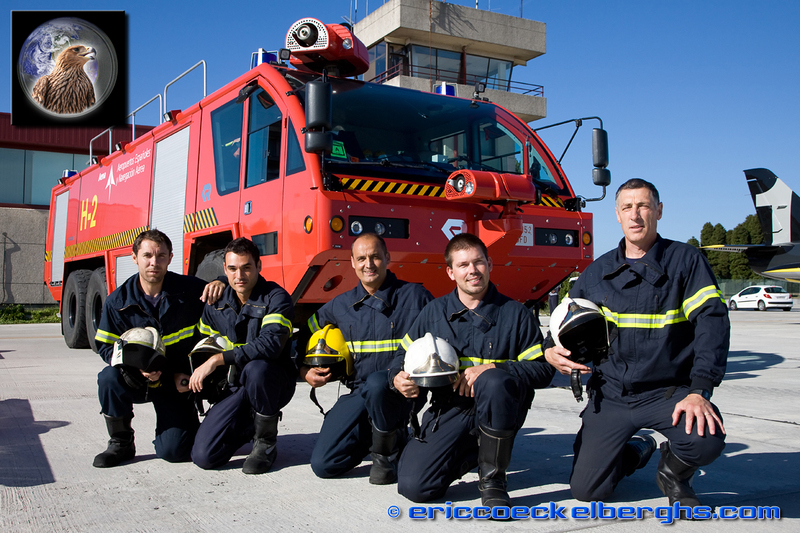 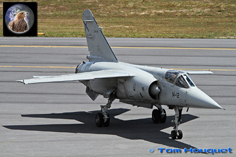 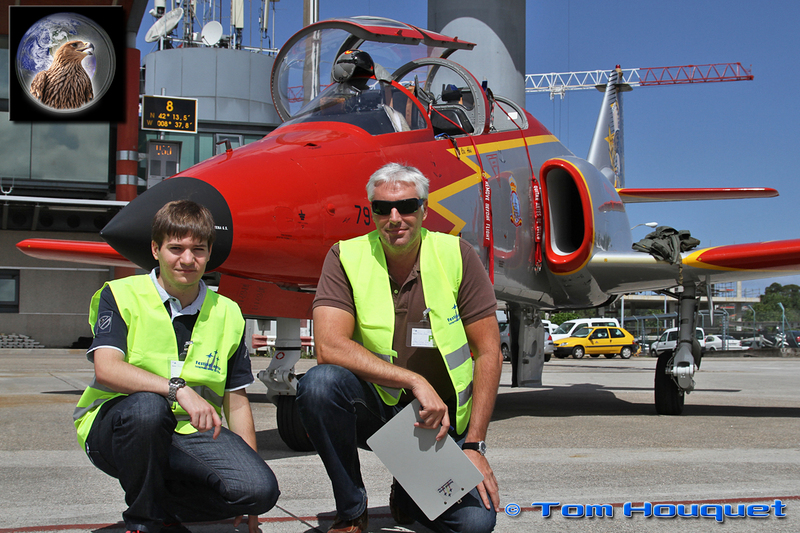 Both crews were very enthusiastic to visit the airshow as you can notice on the team photographs. 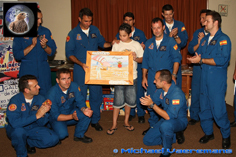 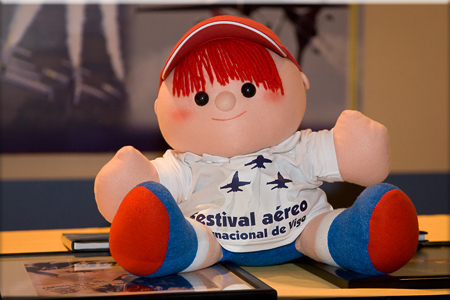 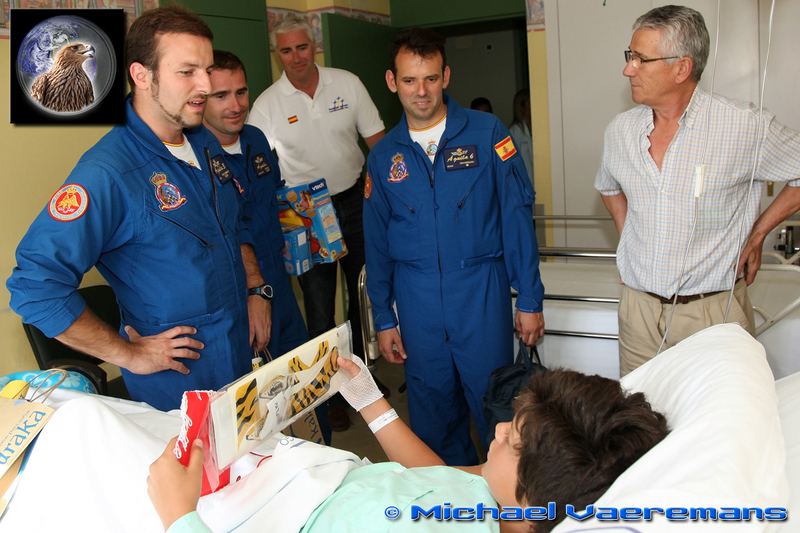 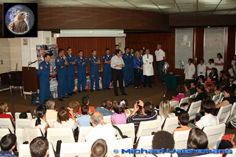 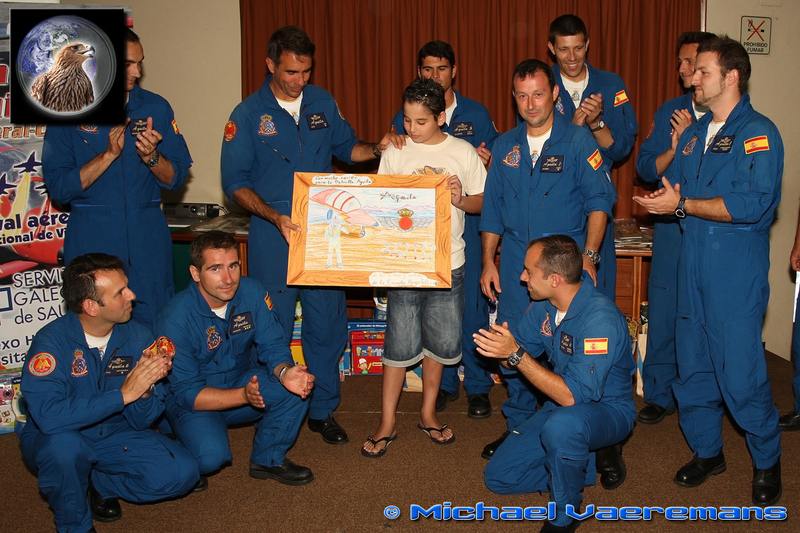 The organisers of the Airshow doesn't forget the people who are not able to see the show from the beach and organised a charity visit of the Patrulla Aguilla team members to the local children’s hospital. The children were very happy to meet the team members in close person and they all received a nice gift. 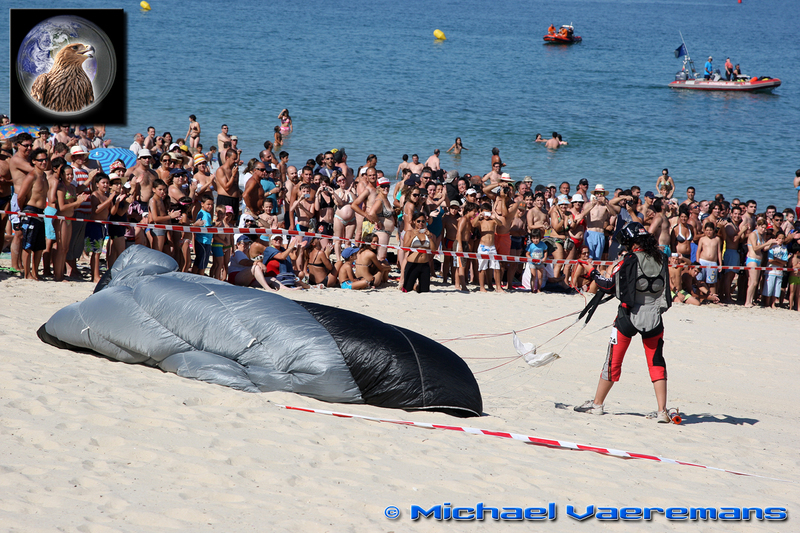 Sunday was the big day and by 9AM the beach was already packed with people eagerly waiting for the show to begin. 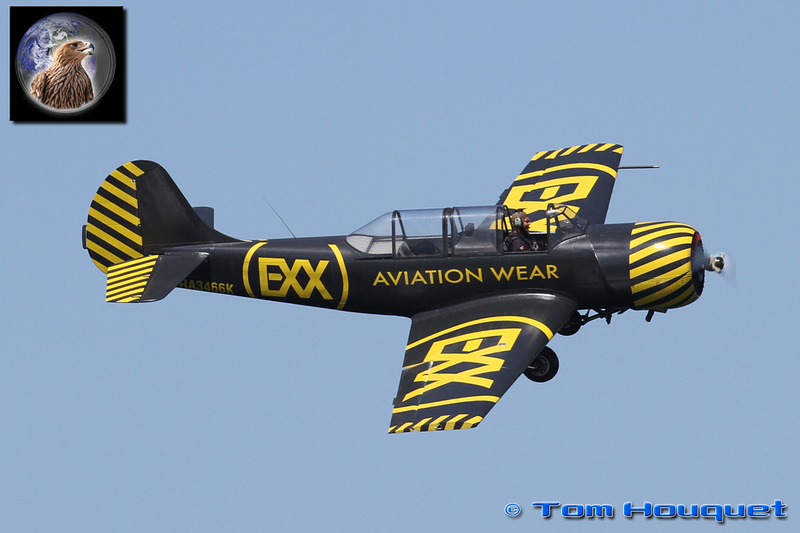 The weather was ideal for a day full of exciting aircraft displays, nice temperature and a clear blue sky, what more can you expect. 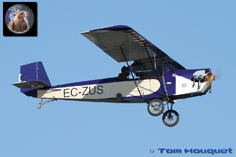 The show started with local flying clubs presenting a range of aircraft, from oldtimers, Sea planes, Auto-Gyro's to modern Ultra lights. 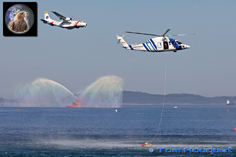 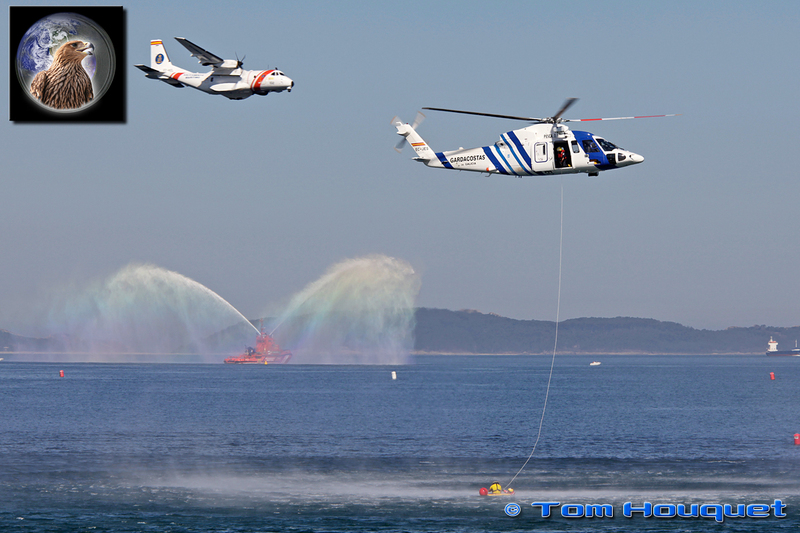 One of the big advantages of a Sea-side airshow is that you can show the public how a real Search and Rescue mission is performed. 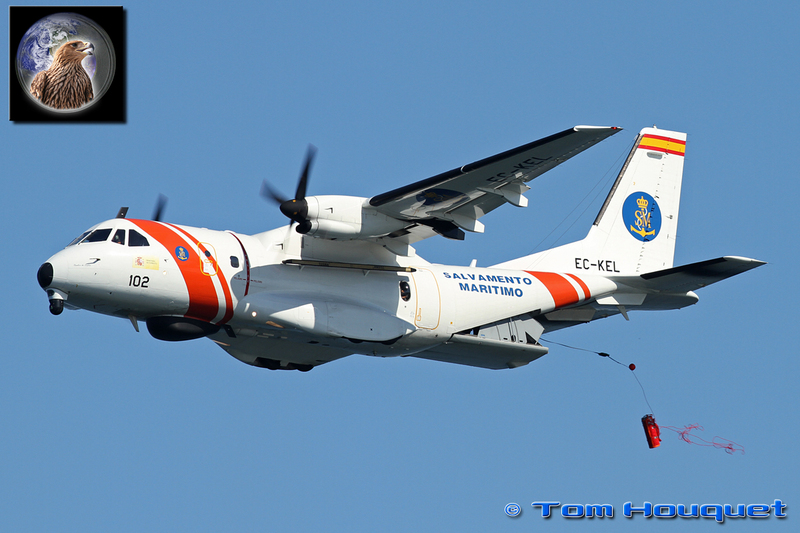 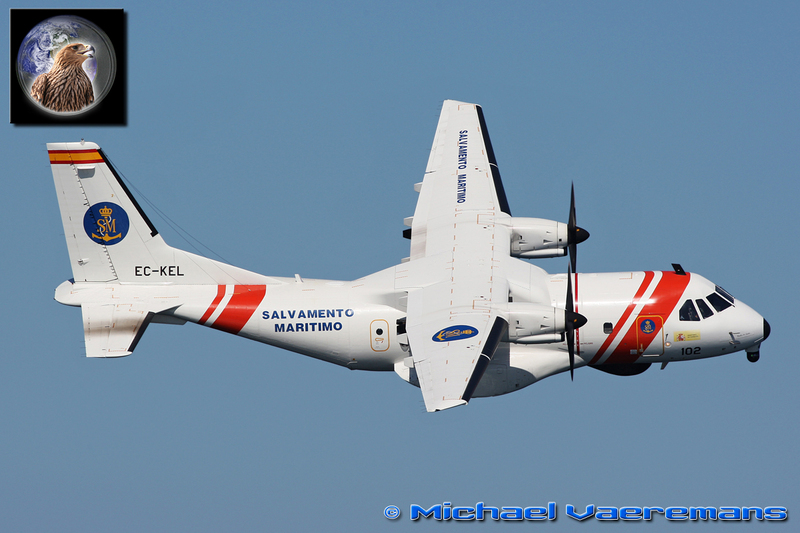 The Salvamento Maritimo demonstrated a search of the water with their Casa 235M and when localized they drop a survival vessel close to the victims. 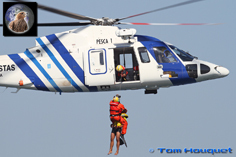 Afterwards the Garda Costas Sikorsky helicopter winches them up and flies them over to a safer place. 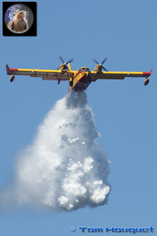 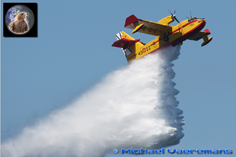 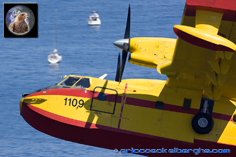 Because of the hot temperatures and dry grounds in Spain, the Air Force uses a number of Canadair CL415 fire bombers in the battle against wild fires. 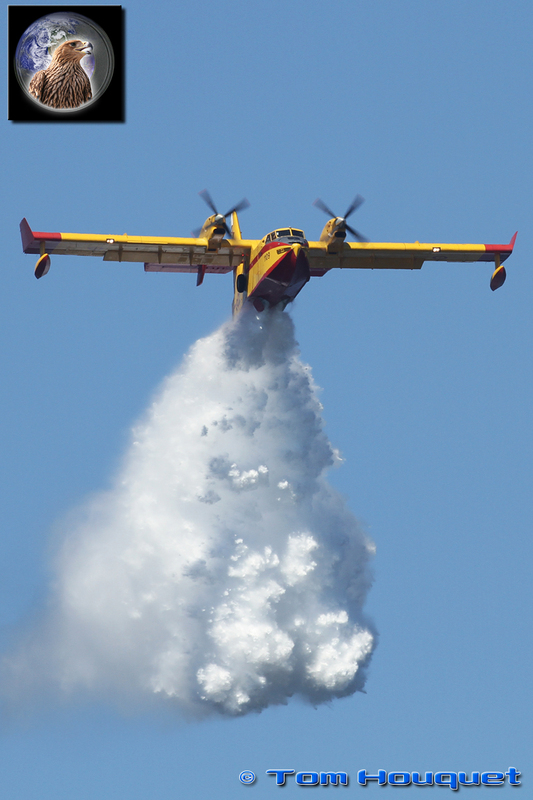 The crew performed multiple water landings and showed the public the capacities of the aircraft by dropping a huge amount of water. 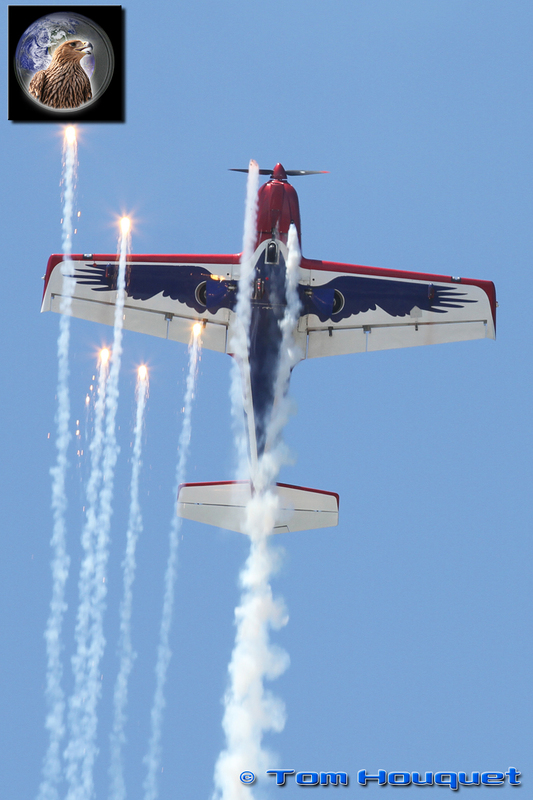 Many people were stunned by this unique demonstration rarely seen at Airshows. 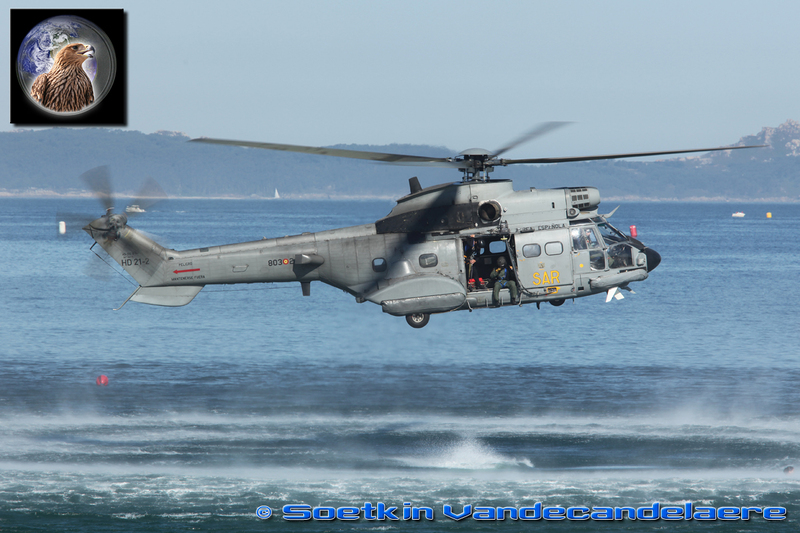 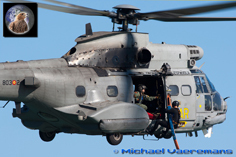 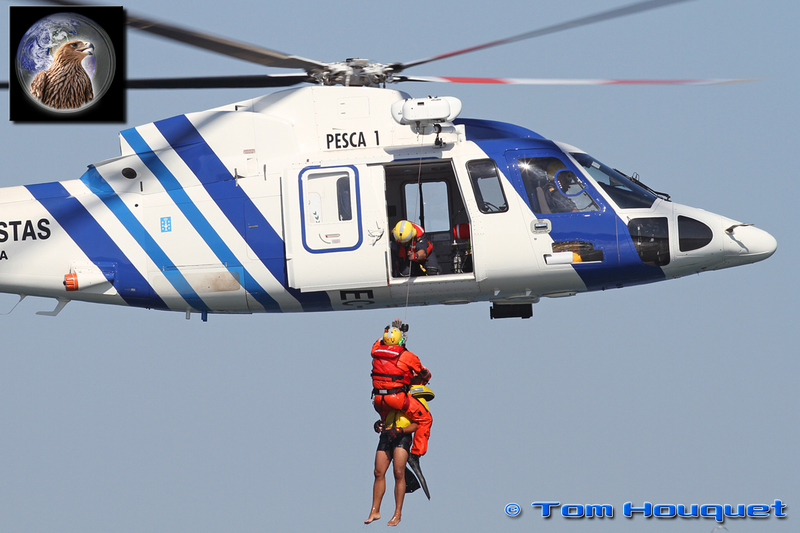 Not only the Garda Costas performed a SAR mission, but the Spanish Air Force also demonstrated their Super Puma in this role. 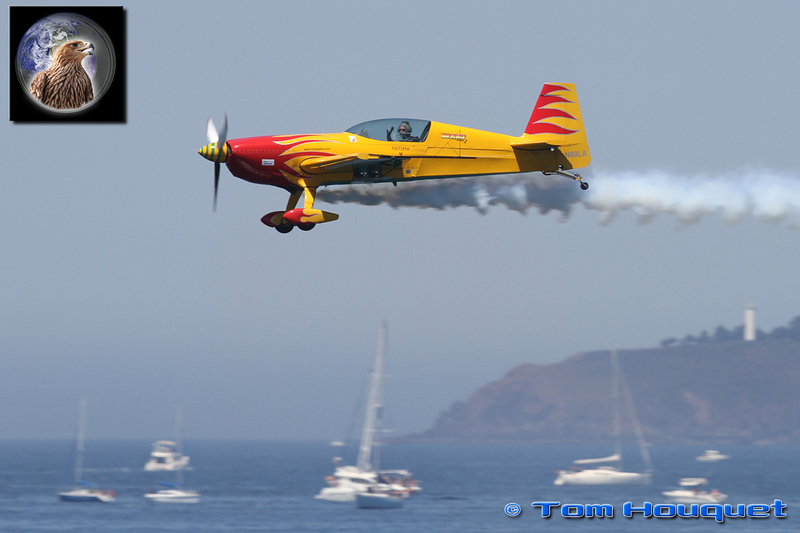 Next to the Milano 52 team, the Yak 52 was also presented in a solo display. 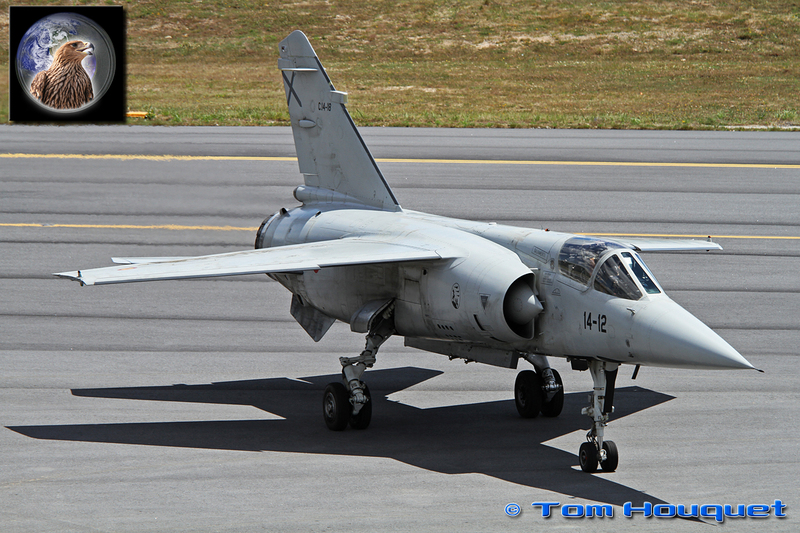 Everybody was looking at the sky when the Mirage F-1 arrived over the sea with the islands in the background. 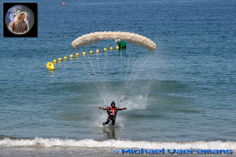 The raw power and high speed manoeuvrability of the Mirage was demonstrated nicely. 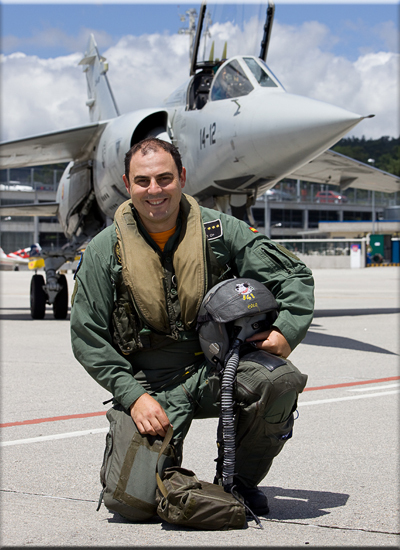 Note the fake canopy painted on the underside of the aircraft to mislead the other pilots during fighter combats. 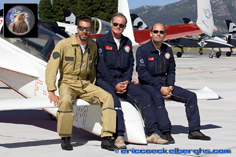 Two other formation teams came from Italy and France. The Italian Pioneer Team showed their elegant flying demonstration over the water and their colourful smoke trails and flare releases came out very nicely against the clear blue sky. 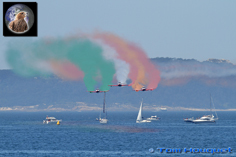 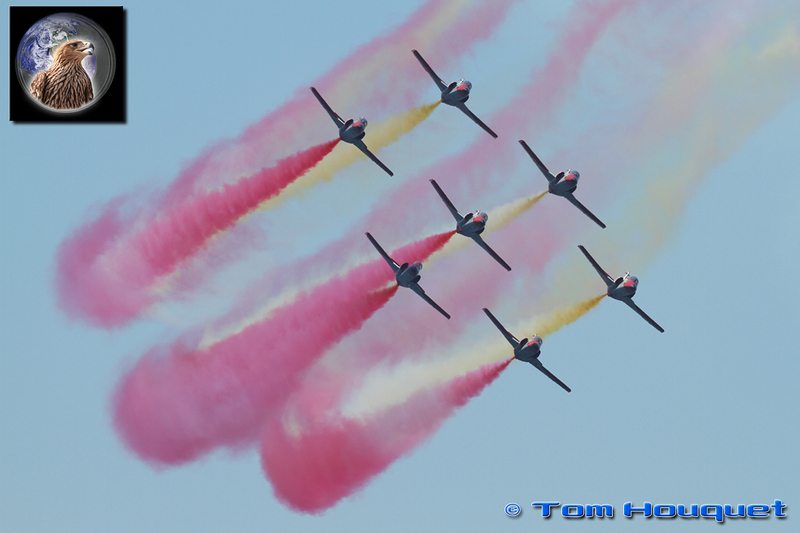 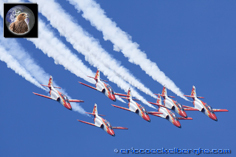 Like the Frecce Tricolori the team showed off the Italian colours as grand finale. 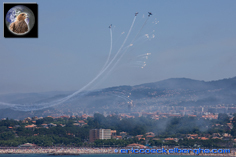 Patrouille Reva came all the way from France to fly their display with three canard aircraft. 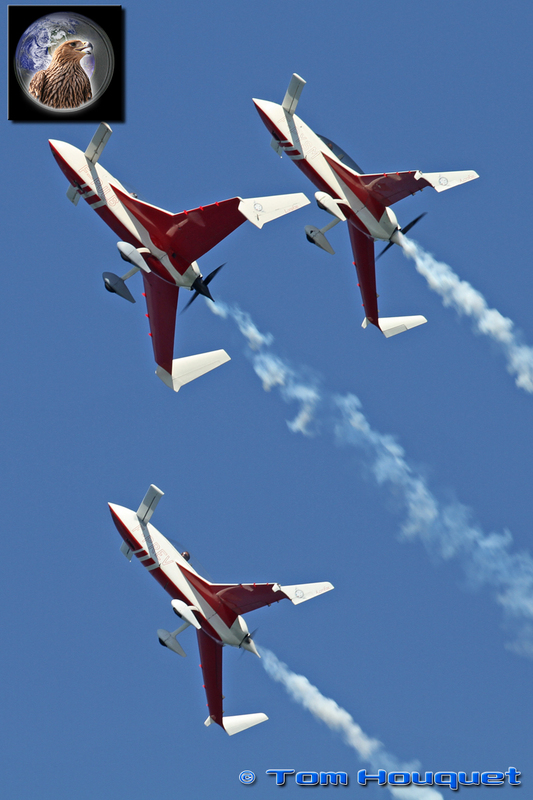 Because of the special shape of the aircraft the speed is relatively high in comparison with other aircraft of the same size, making them ideal for high displays including many loopings. One of the public highlights at airshows are parachute jumps. 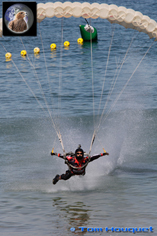 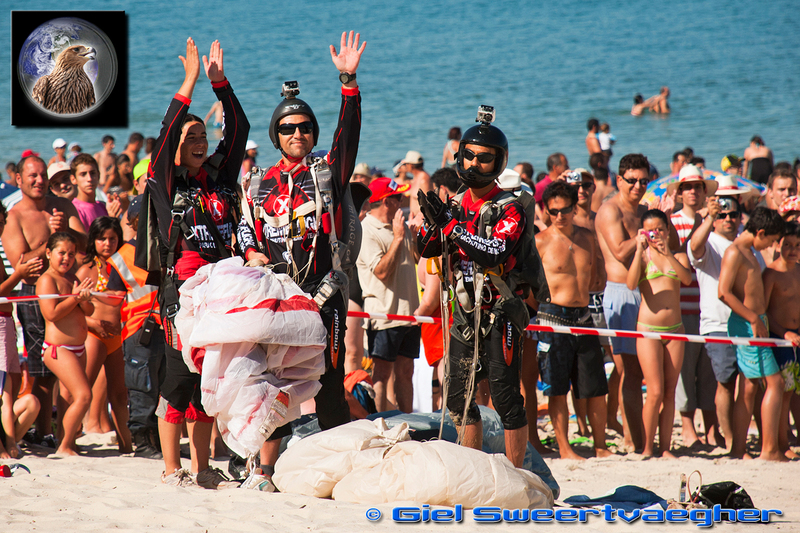 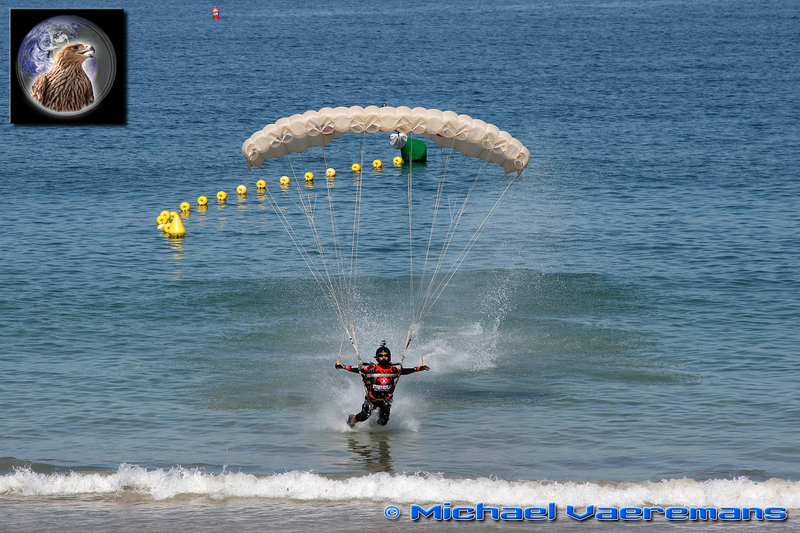 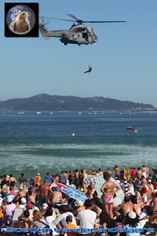 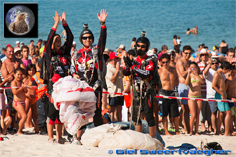 But Vigo had the honour to have the Xtreme Flight, Parachuting Demo Team performing at the airshow with their spectacular manoeuvres and the landing on center stage of the beach which was well appreciated by the public. 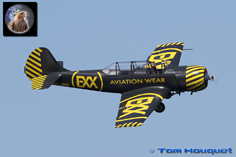 Melissa Pemberton flew an incredible aerobatic demonstration with the Extra 300. She really puts the aircraft to the limits during the dynamic display which includes a large number of rolls, loops and flicks. 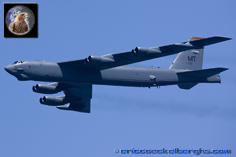 Rarely seen at European airshows are displays by the US Air Force. Next to the C-21 Learjet display, the mighty B-52 bomber made several passes in front of the crowds showing the immense size and shape of the aircraft. 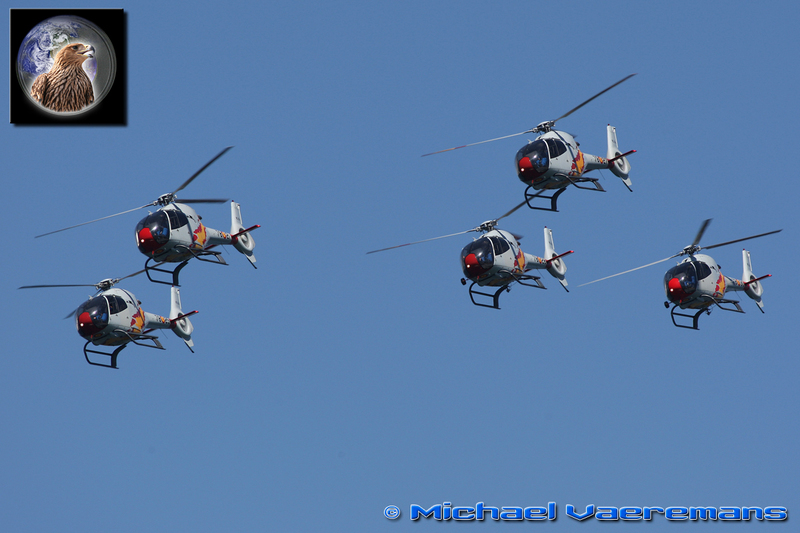 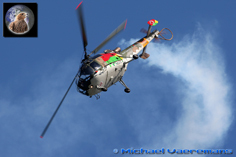 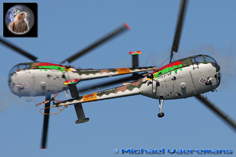 The Rotores de Portugal helicopter team performed a very well choreographed display. Although the Alouette III helicopters have been serving for many years, the team performs a very nice display showing their colourful painting to the public including a very effective smoke system adding an extra touch. 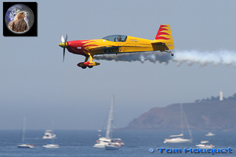 World Aerobatic Champion, Ramon Alonso stunned the public with his Sukhoi 31 demonstration. 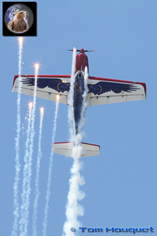 One of the famous manouvres he performed was the cobra manoeuvre which makes this aircraft demonstration unique. 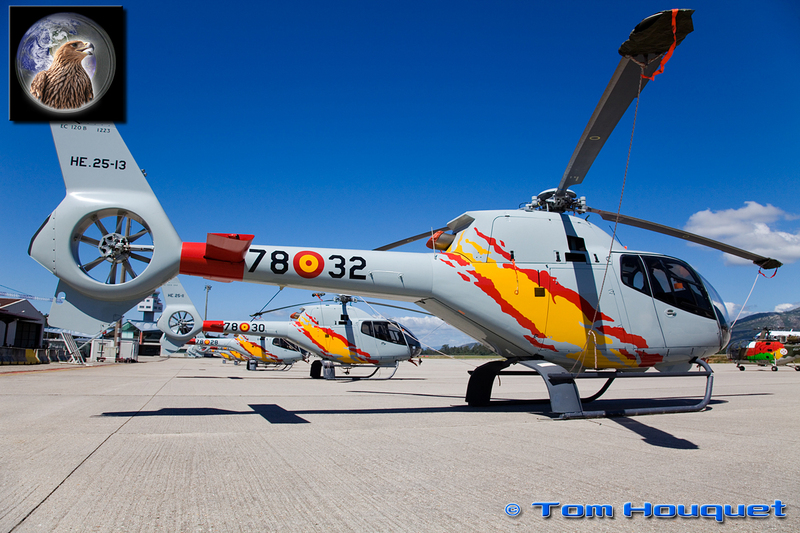 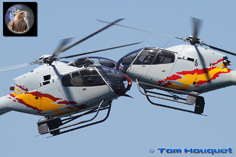 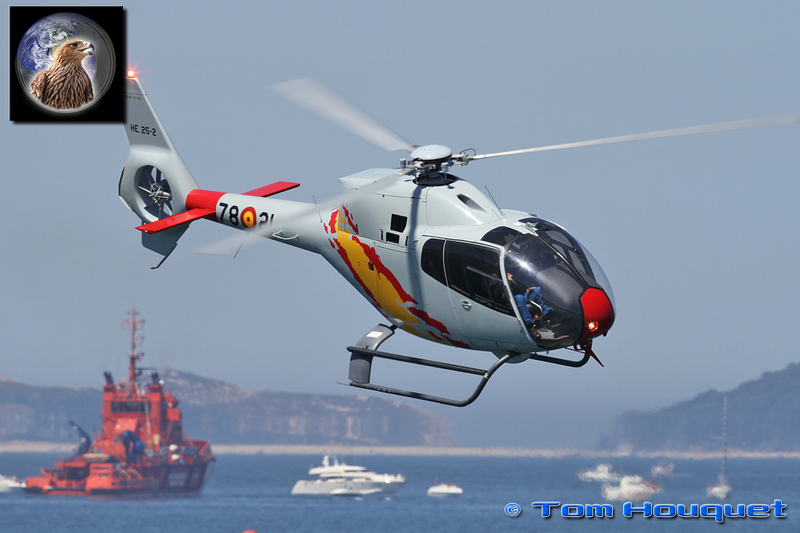 The second helicopter display team performing was the Patrulla Aspa flying a perfect display with their five EC-120's. 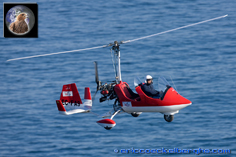 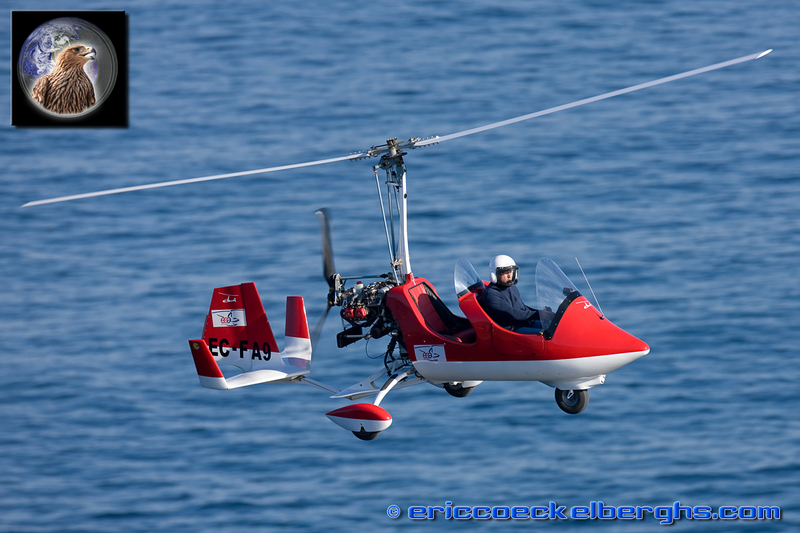 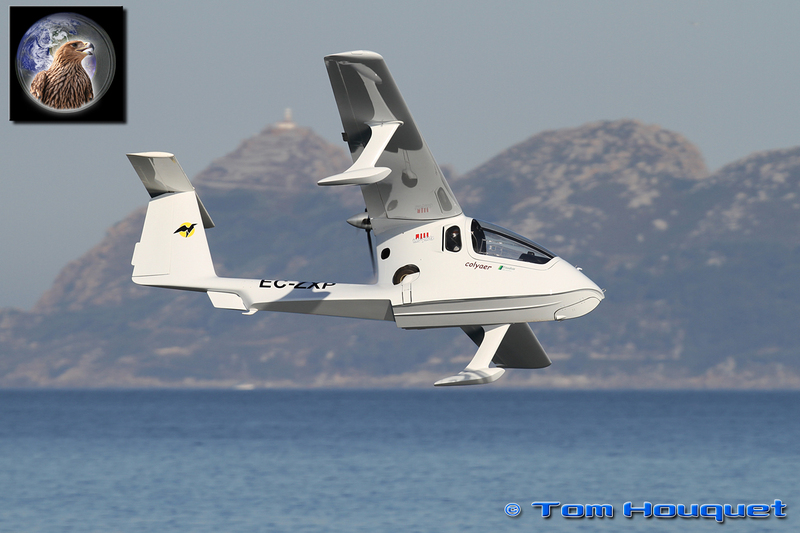 Normally used for helicopter pilot training they are very well suited to perform in a very elegant way. 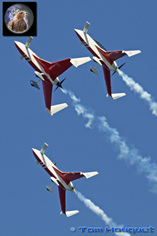 The two large jet formation teams were saved for last. 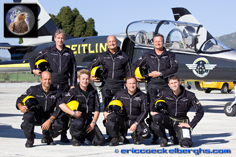 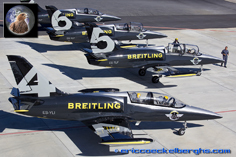 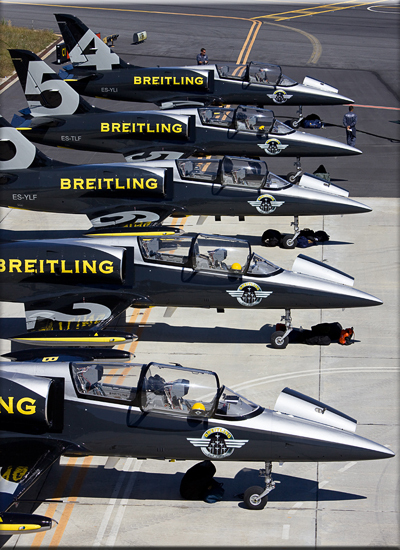 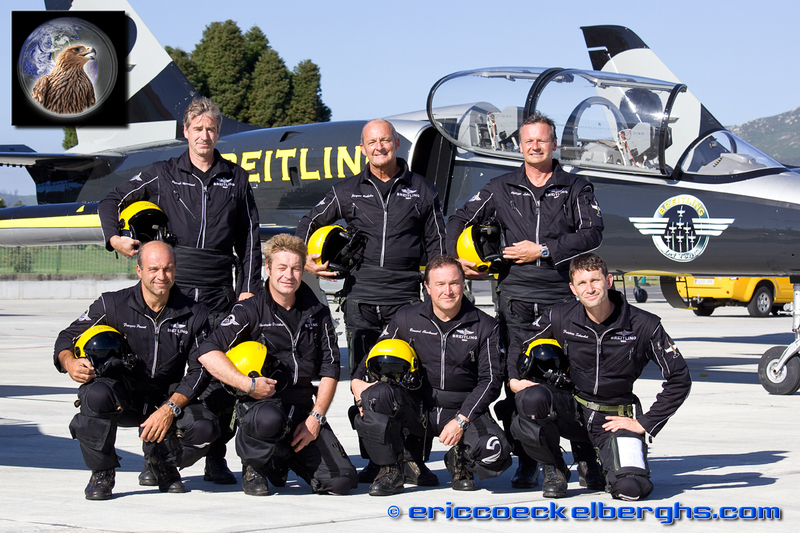 The Breitling Jet Team demonstrated their very precise formation flying in their new house colours. 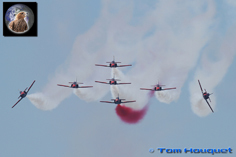 New to this years demonstration was the use of flares during the final brake. 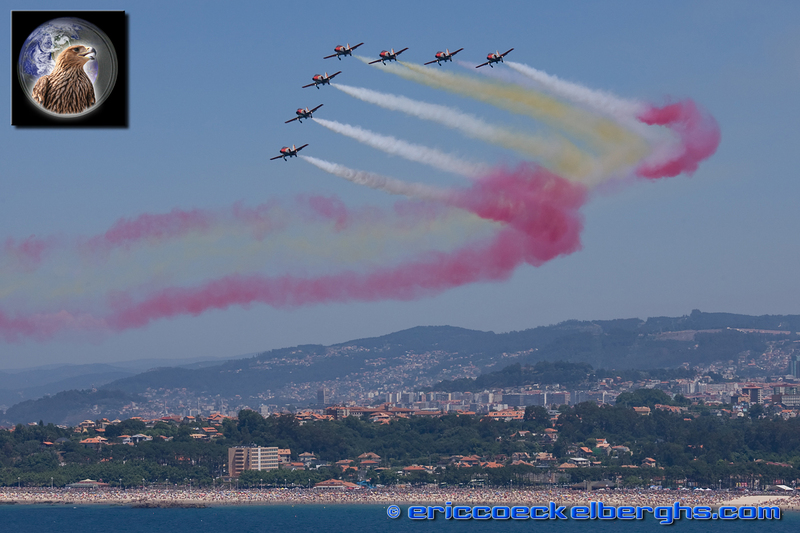 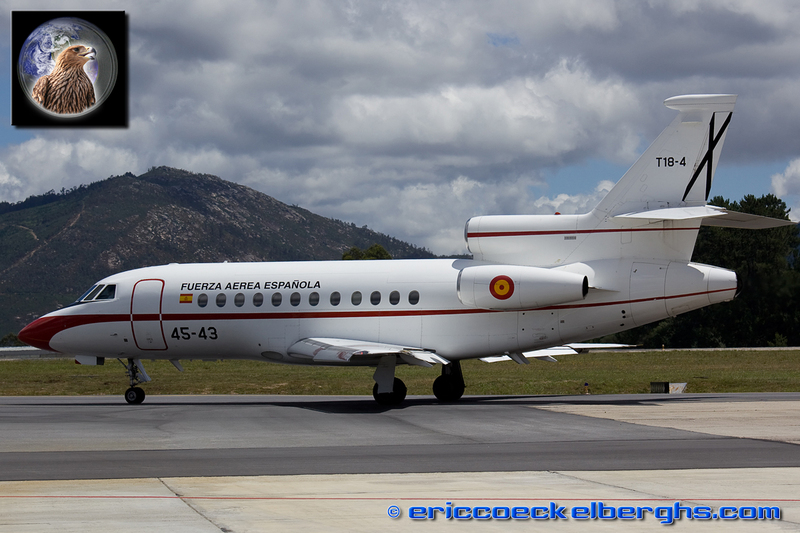 And off course the Spanish national demonstration team, the famous Patrulla Aguilla could not be absent. 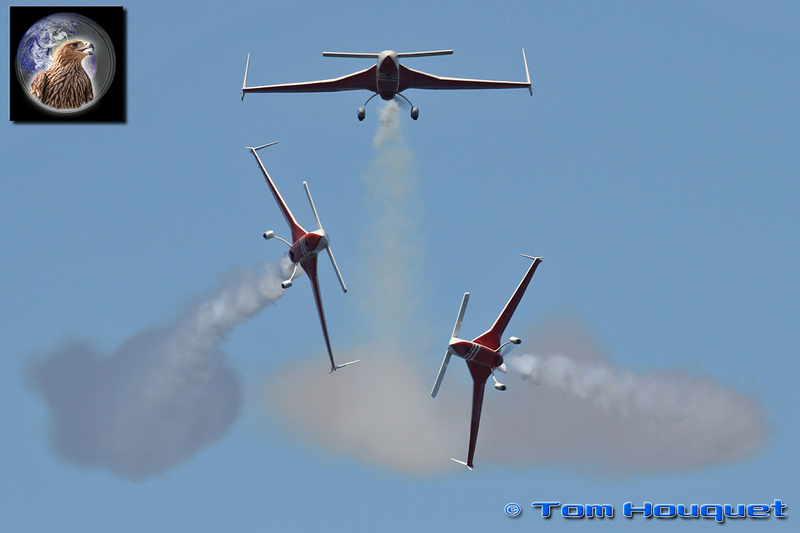 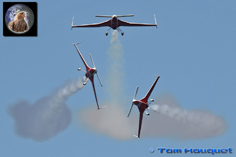 They concluded the show with their graceful close-formation manoeuvres. 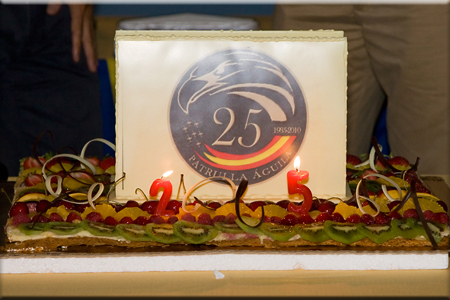 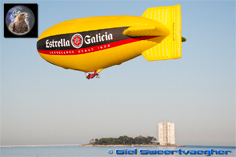 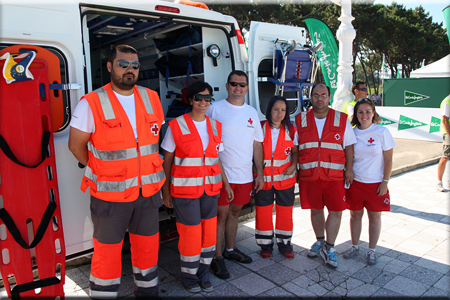 The team celebrated their 25th anniversary by painting the skies along the Vigo beaches red and yellow, the Spanish national colours. 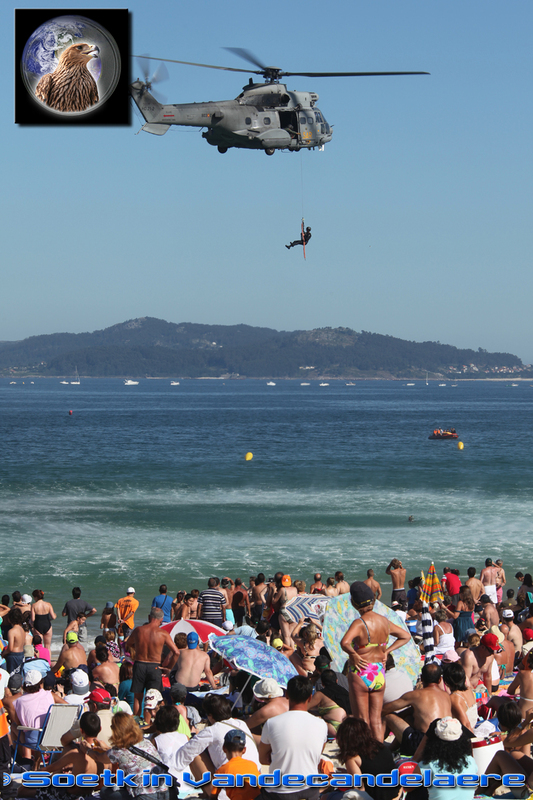 The Vigo airshow must be one of the best family airshows in Europe. 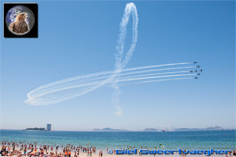 Where else can one have a nice day at the beach, enjoying the sunshine while watching a whole range of aircaft displays. 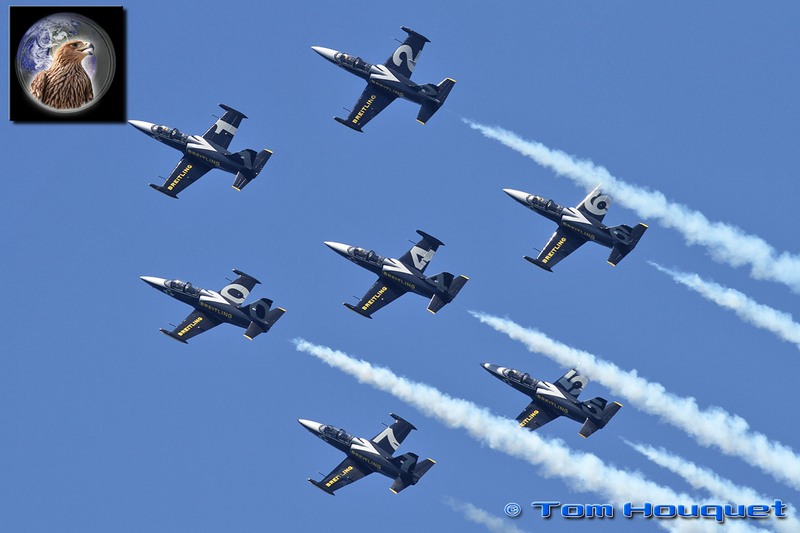 The photographic conditions are also excellent as the light is great for most of the day, and the airshow always attracts some rarely seen displays. 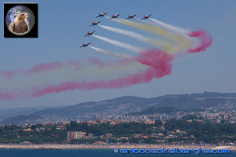 Congratulations to Pablo Gonzalez and his entire team of hard working volunteers to create such a magnificent airshow and for inviting us to visit this unique event. 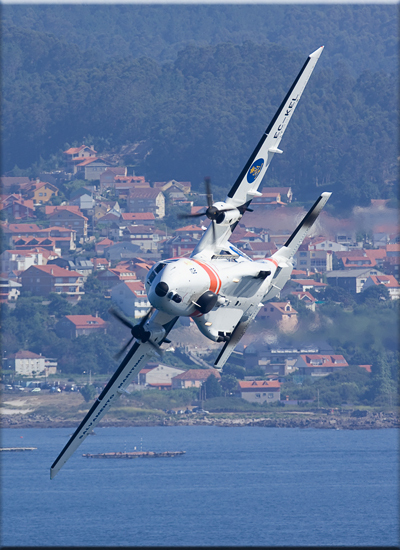 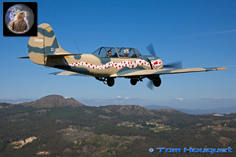 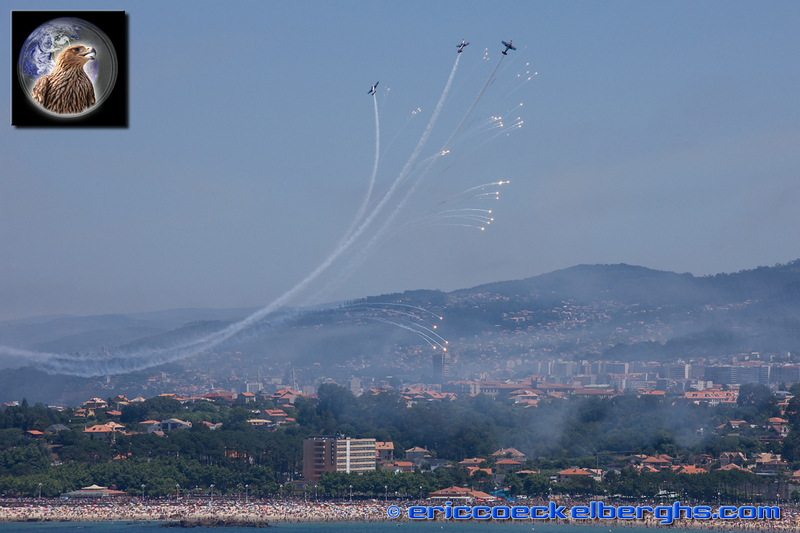 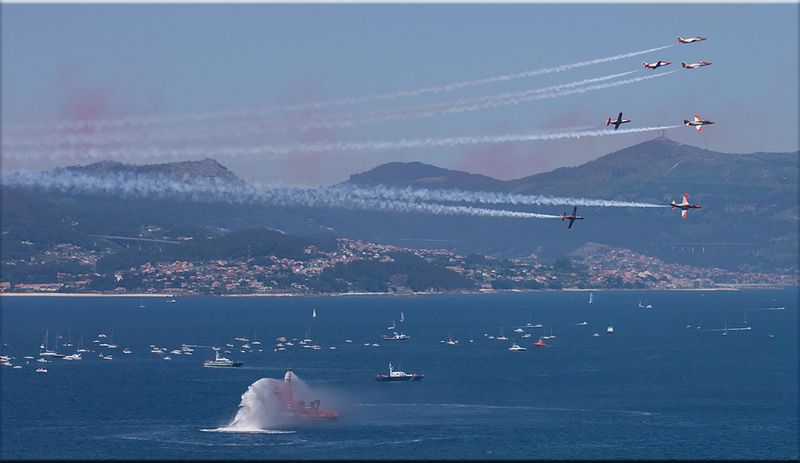 If you haven't found a nice place for your summer holiday yet, we can recommend visiting the city of Vigo during the 2011 airshow.